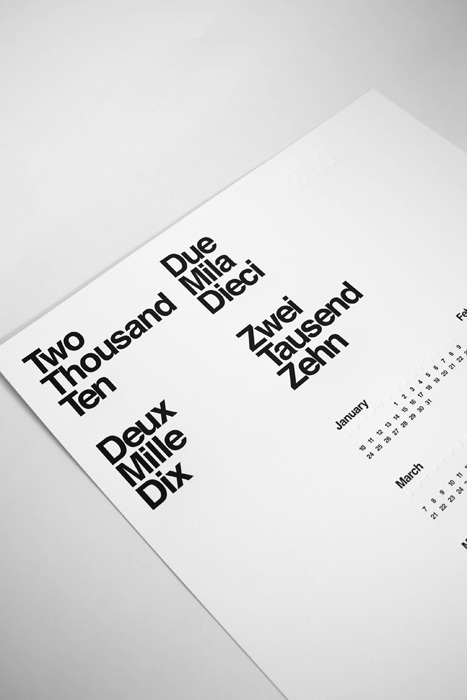 Two Thousand Ten Calendar by AisleOne | Shelby White - The blog of artist, visual designer and entrepreneur Shelby White. 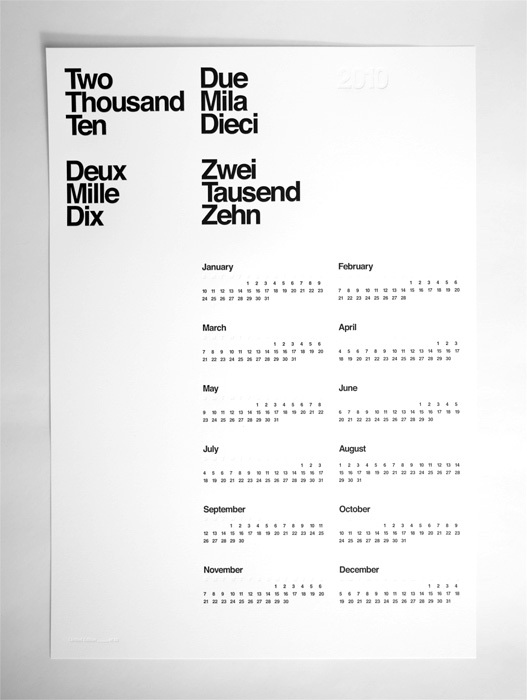 This is a gorgeous limited edition 2010 calendar by Aisle One. 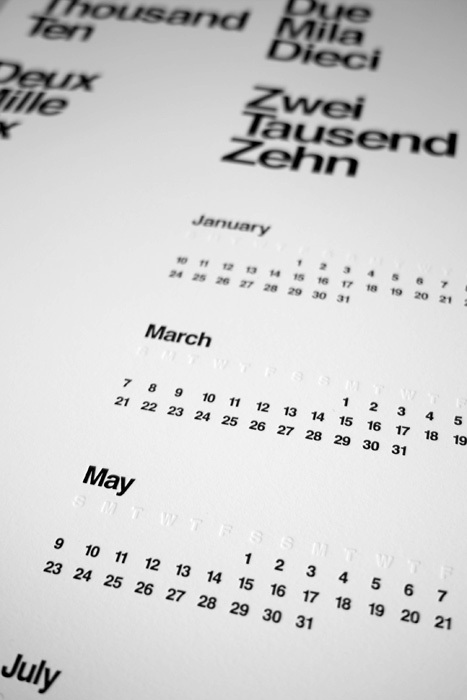 The calendar size is 16.5″ x 23.5″ (A2) and is printed on Crane Lettra Fluorescent White 110 lb paper. 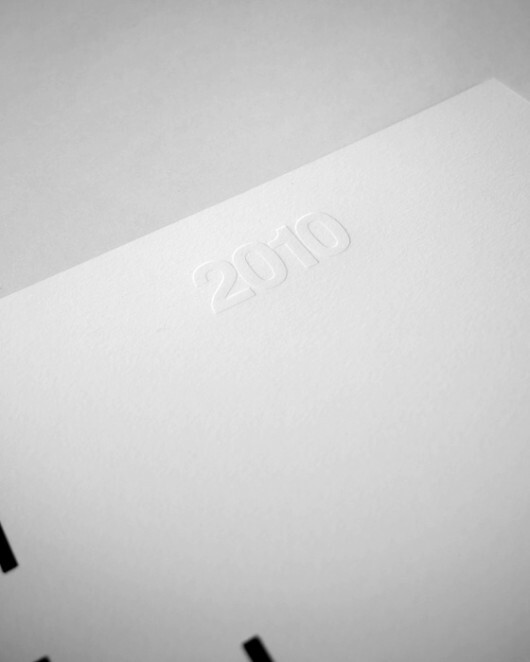 This is the same brand of paper as this other calendar I posted. I would love to have this hanging on my wall but it looks like they are sold out. That’s really nice. 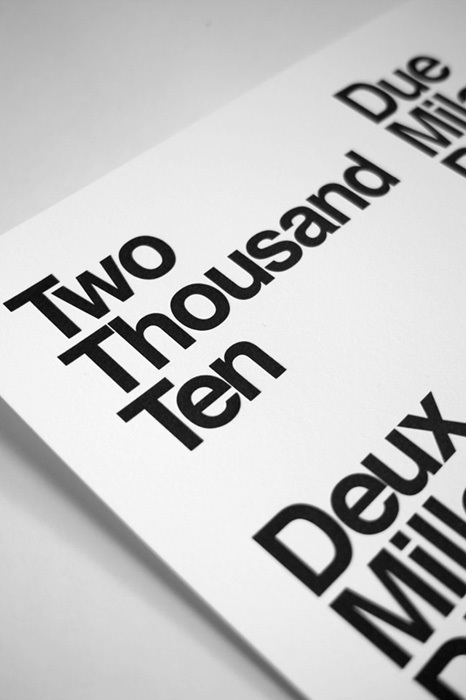 I like the subtle letterpress work. Shame they’re sold out. I’d like to hang one on my wall too.